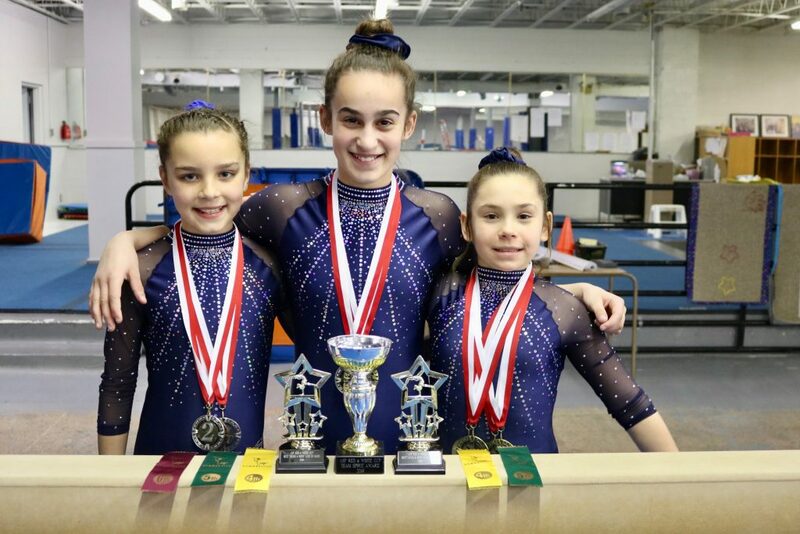 Congratulations to Camryn, Shania and Isabelle on their recent success in Richmond Hill at a Provincial Qualifier. The girls competed March 3rd at the Red and White Invite hosted by ASF Gymnastics. In the Level 4 age 11 category Camryn finished 5th on Vault, 2nd on Bars, 4th on Beam, 3rd on Floor and 2nd All Around. Camryn was also awarded the Judges Trophy for Best Swings on Bars. In the same category Shania finished 2nd on Vault, 4th on Bars, 1st on Beam and 6th All Around. The Level 4 duo was awarded the Team Spirit Trophy for their encouragement and spirit during the competition. In the Level 5 age 10 category Isabelle finished 5th on Vault, 1st on Bars, 2nd on Beam, 1st on Floor and 1st All Around. Isabelle was also awarded the Judges Trophy for Best Swing on Bars. The final Qualifier of the season will be at Ridley College March 9-10.